Faraday: Hey Maxie, check it out! I took matters into my own paws and single-pawdedly solved our BirdTV™ crisis. Allie: "Single-pawdedly" brat? Really? I think not. 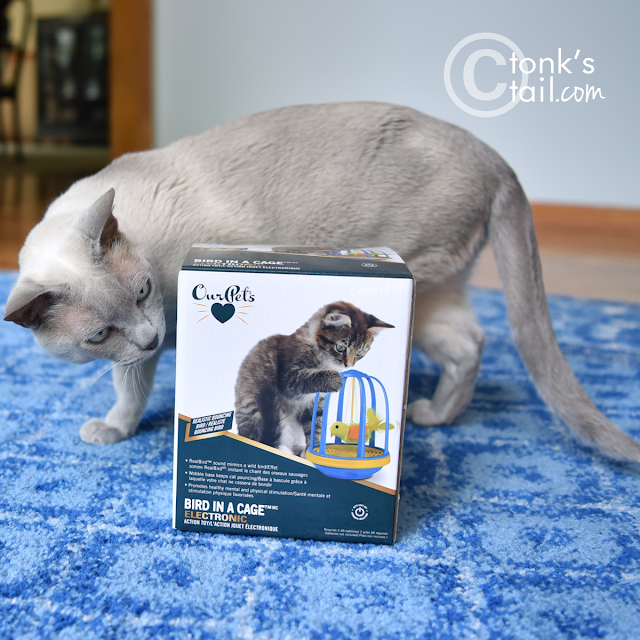 That's the new OurPets® Bird in a Cage Electronic Action Cat Toy that Mother got for us to play with last week. And by "us," I mean "me." So... paws off! Faraday: hrmpf. Fine, Allie. 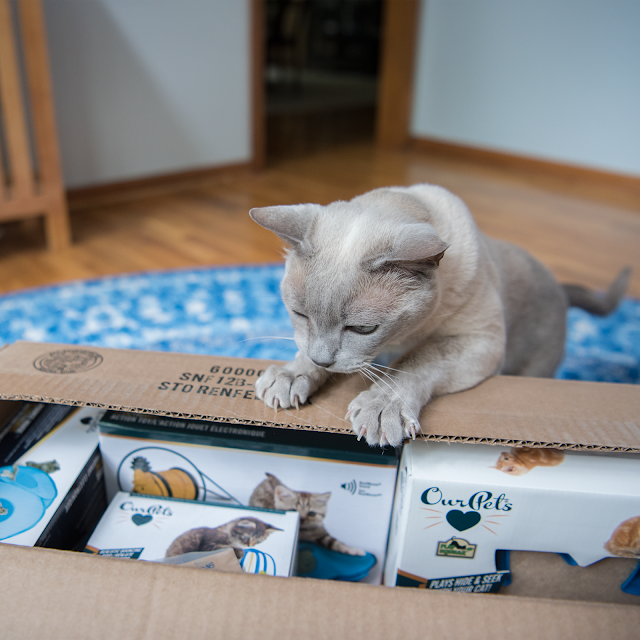 That's okay, I'll just grab me another one, since we scored a whole box full of new toys from OurPets®. Maxwell: Uh, dood. Not that one. That one's mine. Where'd my "Baby of the Fambly" privileges go, Mommy? Tell Allie to share her bird wif me an' stuffs. I mean, it chirps and everything. Sees? Allie: Paws OFF, Maxie. This little chirpy birdie and I have a play date together. What is this word of which you speak, Mother? I'm afraid that doesn't translate into Kittenese today. Maxwell: That's okay, Allie. I found my toy. 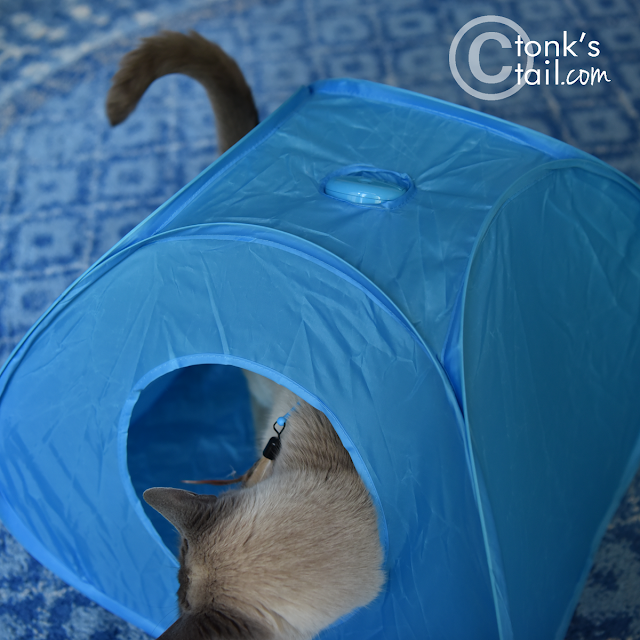 I lubs me some Pounce House™. You shoulda seen that thing spring open when momma took the white elastic band off. I was in that thing in a flash! Faraday: Whazzis, Maxie? Looks like it needs batteries too. 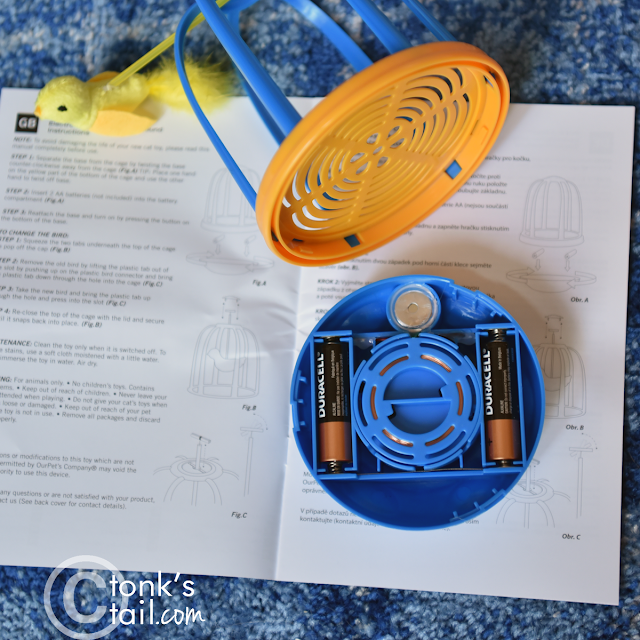 Maxwell: That's the motor that makes the feather flip around like a bird. 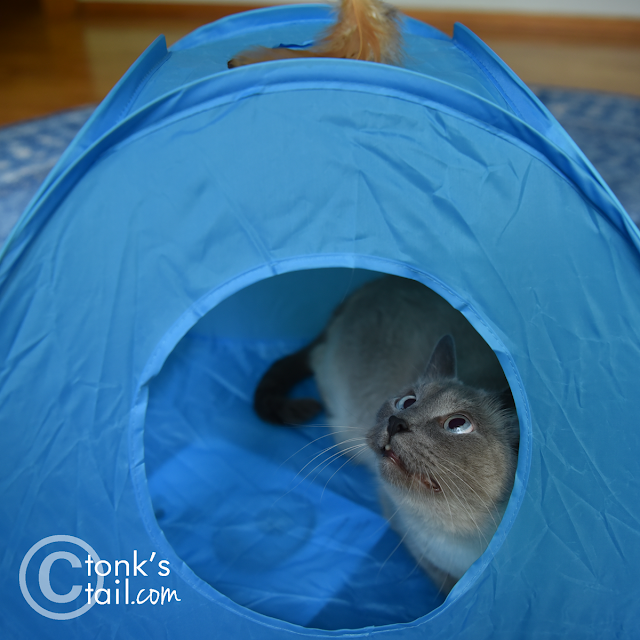 It just pops right into the top there, and now it's ... PLAYTIME! Yup, Maxie loves it. For realz. It retails for $29.99 ~ Check it out! We'll show the remaining three on Friday - be sure to swing by to see how much fun they are! 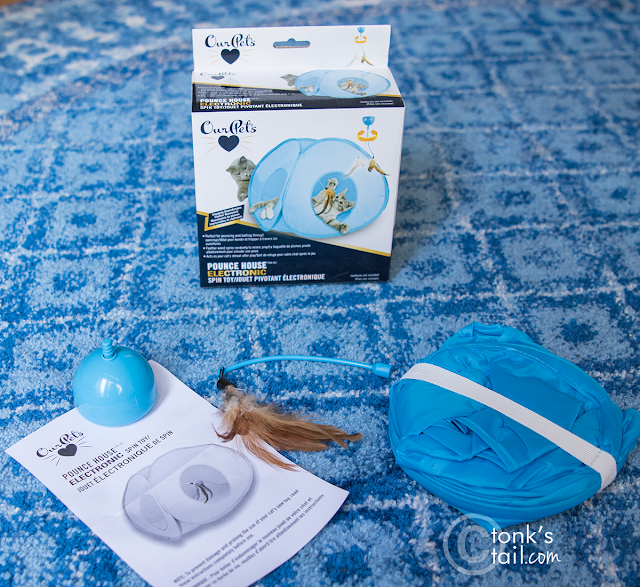 If you're interested in snagging one of these interactive toys for yourself, or for a kitty near you, OurPets® is offering a $5 rebate PetSmart gift card when you purchase one of their interactive toys at PetSmart. Whoa, a bonanza of coolio stuffs for you three! since the mama is writing alla WORDS these days, we are wand-toy deprived. We needs this kinda stuff for ENRICHMENT. Because somemommy is NEGLECTING us. Oooh, I want one.... do they do one with a mouse in a cage! Or can I swap out the bird and put my own mouse in? oooooh MOUSIES. What a pawesome idea! Enjoy. 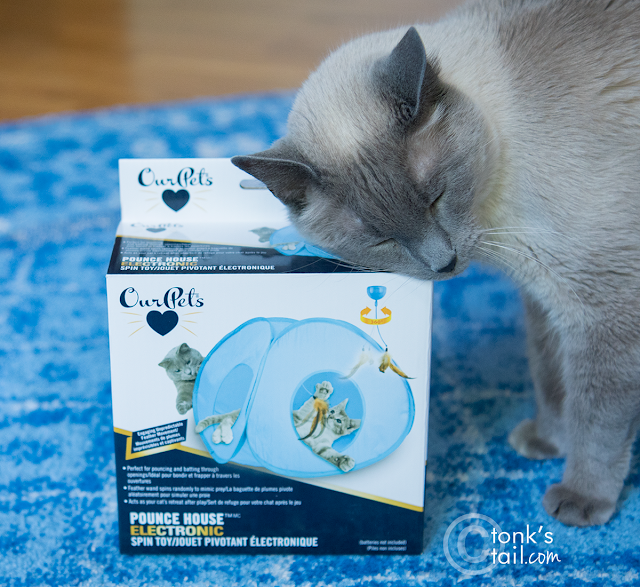 We are sad because our cat bro Bert would love those things but he would eat them in less than a minute. He ate a feather on a pull toy just last night. Faraday, I completely agree with you that being the baby of the family should come with a wide range of privileges! babies of the Fambly, UNITE! Waffles wants to know if he can bring in one of the hummingbirds so that yellow birdie can have a friend. I think he may have some ill intentions he's not fessing up to! You kitties scored!!! There are goodies in that box for everybody! OMC! What fun stuff! 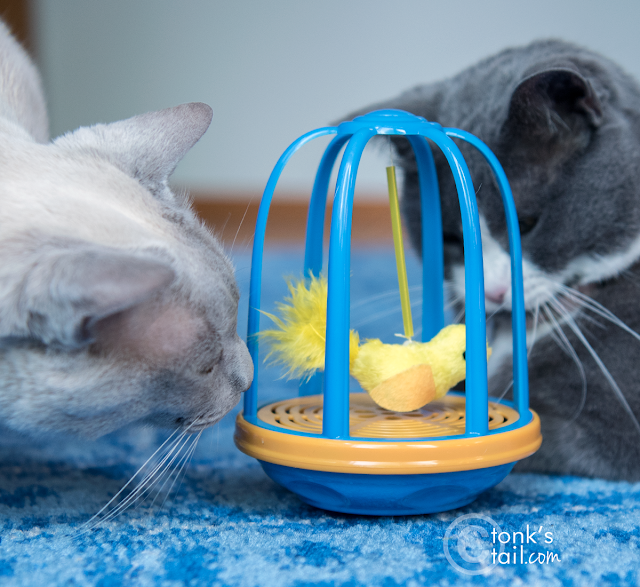 That bird cage toy would come in handy when our feeders are empty. 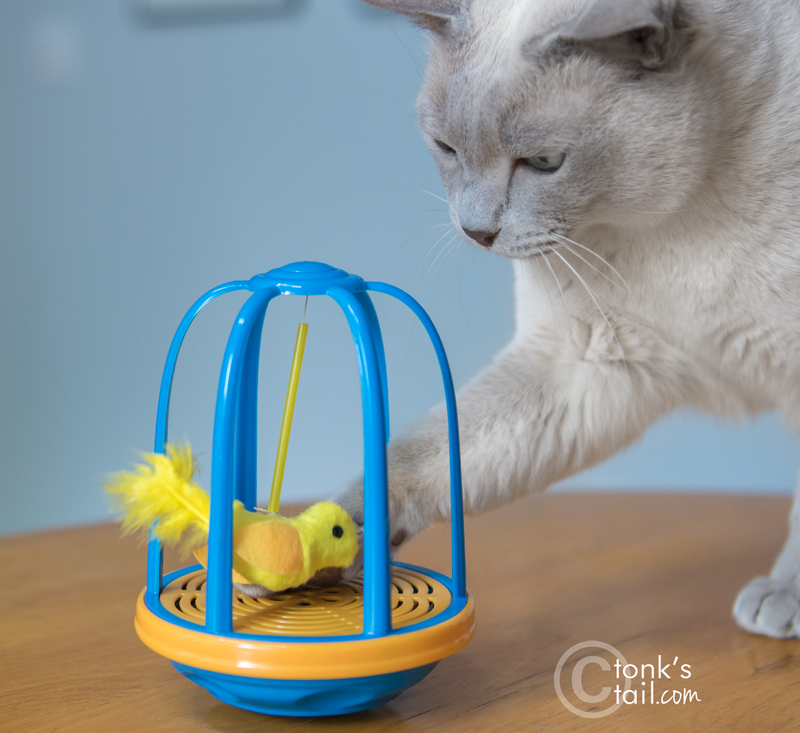 Toys that have birds? Cool. Looks like those toys are a hit with all of you. Whoa! 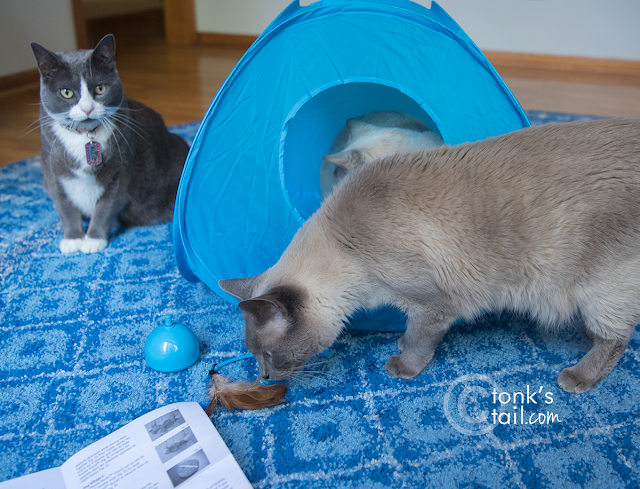 Look at all those coolio fun stuffs you got, Allie, Maxie and Faraday! Wow! You got neat things! 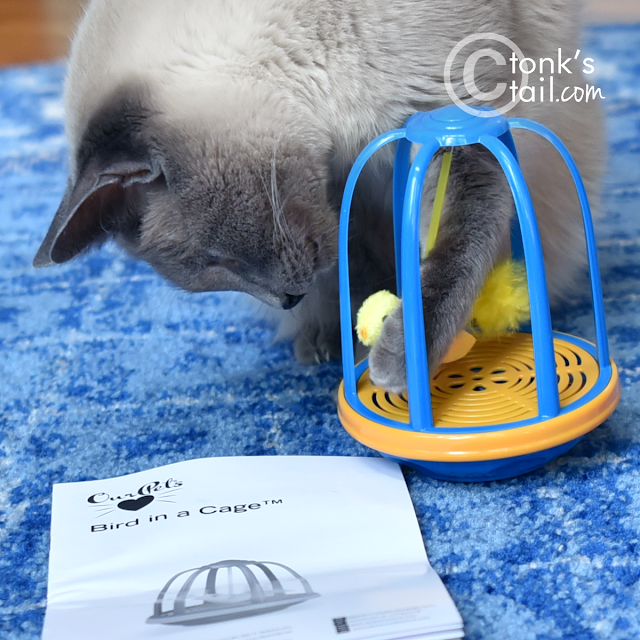 I've never seen that birdie-in-cage toy before! There are two metal birdie cages at my house and one fake birdie (I think Mom thinks the birdie is real!). 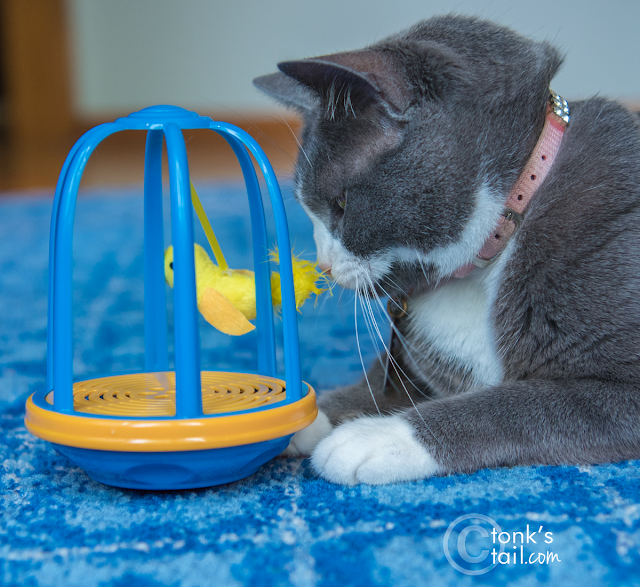 Your birdie sounds super fun! Head nuzzles! It was like Christmas at your den! !